Apply Hydrabio Gommage on a slightly damp face, ensure you avoid the eye area. Massage for 1 - 2 minutes using an upward circular motion. Rince well and dry gently. Use once or twice a week. 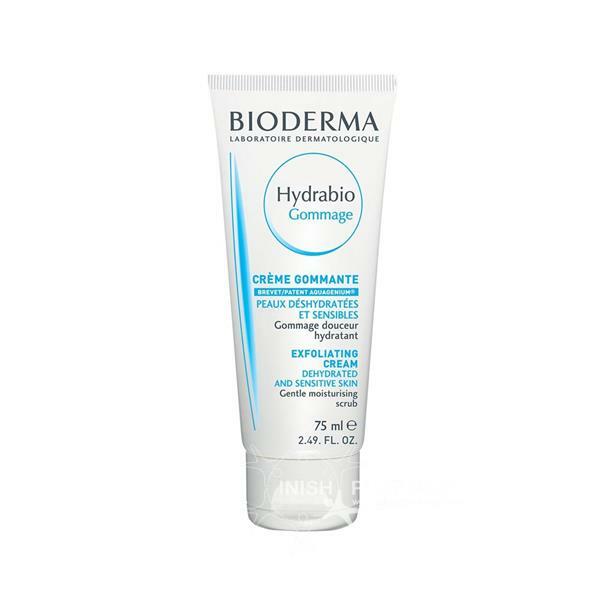 Bioderma Hydrabio Gommage is a gentle exfoliating cream which helps put the moisture back into the most dehydrated skin. The addition of the patented Aquagenium reactivates the natural moisturising process in the skin leaving it looking and feeling radiant.